A wonderful flowering indoor Oriental Tea Tree bonsai with S-Shaped trunk. 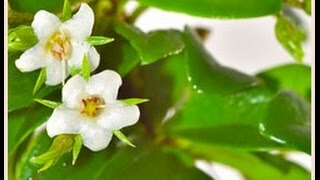 It has small white flowers during the summer and has beautiful oriental styling. This pretty 8 year old bonsai tree is potted into a blue ceramic pot and is supplied with the drip tray and bonsai feed. A 'Best Dad' tag, blue jute & ribbon makes this a wonderful Father's Day gift idea. Please choose your delivery date at the checkout. FREE delivery to most of the UK. Please add your personal message below and tell your dad how much he means to you. Highly recommended bonsai gift set. • Stunning twisty Oriental Tea Tree bonsai which dispalys small white flowers and deep green glossy leaves. • Beautifully selected blue jute and 'blue spotty' ribbon for the perfect Father's day gift.